Welcome back, Rachelle. Tell us about your salvation experience. While I was raised going to church, summer camp propelled my faith forward in a very personal way. I later met my husband at the same camp, too, so it holds a special place in our hearts. We spend time there with our children every summer. It’s quickly becoming one of their favorite places, and a solid part of their faith foundation. If this is my dream writing retreat, I’d pick C.S. Lewis, J.R.R. Tolkien, Susan Cooper, and Madeleine L’Engle. Then I would sit back and take notes like crazy! I’m an ordained Presbyterian minister, but I try to stay out of the pulpit as much as possible. I’ve found I can reach more people at a more honest place when I funnel my efforts into fiction. 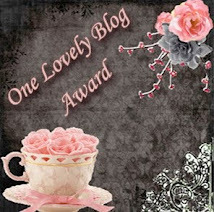 Well, I was very nearly late for this blog interview! Fortunately Lena Nelson Dooley is an extremely gracious hostess and sent me a timely reminder. Thank you, Lena! Write! Just do it. You can’t edit a blank page. You may have a dozen books in your head, but no one can read them there. 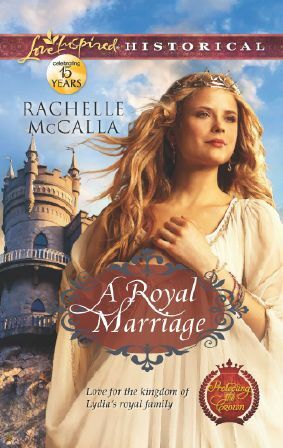 A Royal Marriage is my first foray into historical fiction. It’s the opening book of the new Protecting the Crown series, which is a spin-off of my suspense series, Reclaiming the Crown. The book’s focus on the Christian kingdom of Lydia, a fictional place founded by Lydia, the leader of a house church who we meet in the Bible in Acts 16:14 & 40. This particular book is set in the year A.D. 801 and features a real historical person—Gisela, daughter of Charlemagne. History records her name and the dates of her birth and death, but tells us little else about her. I’ve filled in the details. Since I’ve read all the other books and loved them, I know I’ll love this one, too. Please give us the first page of the book. Thank you, Rachelle, for sharing this new series with us. I know my readers will want to get a copy of this first book as soon as possible. I can hardly wait until my copy comes. Welcome, Liz. Tell us how much of yourself you write into your characters. I try not to put too much of myself into my characters, but always the spiritual lessons that I’ve been learning end up being the same lessons that characters struggle to figure out. In my most recent book, A Promise to Protect, my heroine has to learn to be weak in order to let God be strong. Learning that in my own life was an awful challenge for me, but when I finally caught on to what He was teaching me, I was able to help my characters come to understand similar things. When I was 19, I decided that I needed a nose ring. At the time, I was working at DisneyWorld, and I wasn’t allowed any visible piercings except my ears. So I had to wait for about two months, but the day before I left Florida, I got my nose ring, which I wore for two years. And the day I graduated from college I took it out. Sometimes I still miss it, but it doesn’t exactly go with my day job, so I guess we’ve seen the last of my nose ring. I’m not sure I ever really discovered. I was just sort of always writing. When I was seven, I was given a school assignment to write two paragraphs about a bear. I ended up writing several pages. That was probably the first indication that I was going to be a writer. I love reading just about anything. I’m a big fan of L.M. Montgomery’s Anne of Green Gables and other books. My all time favorite book is The Witch of Blackbird Pond by Elizabeth George Speare, a Newberry Award Winner from 1955. But close behind that are The Princess Bride and The Guernsey Literary and Potato Peel Pie Society. From dystopian YA to historical romance to biographies and Christian living books, I’ll pick it up. I’m not sure I’ve done a good job of keeping my sanity, but I do find that when I feel overwhelmed, stopping for a moment to listen to a worship song always soothes my nerves. I’m not great at naming my characters, but recently I’ve discovered BabyNameGenie.com, which randomly offers names, and I love that! I almost always have it open in my browser to help with naming secondary characters. I think I’m most proud of being my nieces’ and nephews’ favorite aunt. It’s taken no small amount of time on the phone with them reminding them that I’m their favorite. And I’ve spent a lot of time shopping to spoil them. Okay, seriously, I love being an aunt, and I love spending time with all five of my nieces and nephews. I’m also honored to get to write and to have been published in some really successful books, and that’s a blessing I never expected. Getting letters from readers who have been encouraged by my books is maybe the best part of being a writer. I think I’d like to be a horse, strong and graceful. They’re just so beautiful. But realistically I’m probably closer to a house cat. If I have the chance, I love a good nap. My dad’s hamburgers fresh off the grill with a little ketchup, cheese, lettuce, and pickles. I’m a terrible procrastinator. But I’m also grateful that I write better under pressure. Procrastinating makes meeting deadlines hard, but I’ve found that I can set up a schedule, set smaller goals, and find folks to keep me accountable to write. These help me make my deadlines and keep me moving forward with my writing. "When do you go wheels up?" Ashley Sawyer asked as she walked down the street toward the local grocery store several blocks away. "I'm impressed," her brother teased, the warm amusement in his voice coming clearly through the phone line. "You've been paying attention to the lingo." "And you're avoiding the question." Tristan had been deploying with his team of U.S. Navy SEALs since she was sixteen. She knew that when he didn't answer a question, it was usually because he couldn't. Stepping onto the curb, she asked, "Well, you and Matt just take care of each other, okay?" Silence hung on the line for so long that she checked her phone to make sure she hadn't dropped the call. "Matt's not going this time." Her heart squeezed just a bit. She'd counted on Matt Waterstone, her brother's best friend since their first day in SEAL training, to watch out for Tristan. Matt had a habit of being in the right place at the right time, protecting Tristan from at least one bullet during their deployments. And that was just what he would actually own up to. She swallowed an unexpected lump in her throat at the thought of harm coming to the man she'd had a crush on once upon a time. "What happened?" "Nothing major. He'll heal up just fine with a little time. Hey, maybe I'll send him your way for a visit—keep him from getting bored here on his own." I enjoy connecting with readers and fellow book lovers at www.lizjohnsonbooks.com, www.twitter.com/lizjohnsonbooks , and www.facebook.com/lizjohnsonbooks . Thank you, Liz. We loved learning a little about your life and your book. Welcome, Carrie. What are some of the spiritual themes you like to write about? I often write about the power of forgiveness and how it can bring healing and reconciliation. 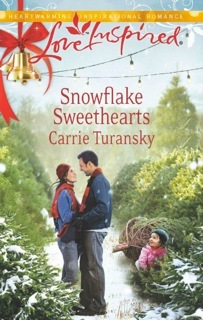 In Snowflake Sweethearts Annie Romano learns that forgiveness is not just a one-time event, it’s an on-going process, and also that forgiveness is a choice of the will and not based on our feelings. My next book comes out in October 2013. The working title is The Governess of Highland Hall. The publisher is WaterBrook Multnomah. It’s the first of a three-book historical romance set in 1910 in England. I like to think of it as Downton Abbey meets Jane Eyre with a little of the Sound of Music thrown in for good measure. My husband and I visit England last summer to do some research and enjoy the beautiful countryside. This is a dream project for me, and I am having a great time writing it. The last time you asked me that question it opened the door for a visit with Dr. Dobson at his new ministry office in Colorado Springs….remember? Thanks for that! This time I think I would like to visit with actress Maggie Smith who plays Violet Crawley, the Dowager Countess, on Downton Abbey. I would love to learn more about her life and career, plus I would probably have to go to England for that visit, so that would be a plus too. I missed Downton Abbey the first two seasons, so I bought the DVDs. James and I watched them all in about a week’s span. We loved them. What historical person would you like to meet (besides Jesus) and why? It would be wonderful to be able to go back to the early 1900’s and meet Lady Almina, the fifth Countess of Carnarvon, who lived at Highclere Castle where Downton Abbey is now filmed. She turned her beautiful home into a hospital for wounded soldiers during WWI. She was also married to a man who helped discover Kit Tut’s Tomb. Sounds so interesting! Meeting her would be the perfect “research trip” back in time. I’ve heard it takes at least10,000 hours of hard work to become a skilled writer, so keep pressing on! Most publish authors complete several books and receive many rejections before they are published. It was true for me. 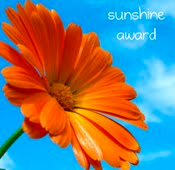 I would encourage you to join a critique group and learn from other writers. Read good craft books like Self-Editing for Fiction Writers by Browne and King and Plot and Structure by James Bell. Attend writers’ conferences and retreats. Keep reading and writing. Connect with other writers and be willing to read, review, and promote others’ books. The day will come when those writing friends may be able to help you. Pray and ask for direction and discernment about where to focus your time, talent and energy. Snowflake Sweethearts is a heartwarming, Love Inspired, holiday romance, so this is the perfect month to enjoy this story. Here’s a summary: Bringing her daughter to the one place she feels safe, single mother Annie Romano returns to Fairhaven, Washington. Though hoping to start a new life as a personal chef, she accepts a different job. Alex Jameson, the handsome man she secretly admired as a teenager, needs a live-in caregiver for his ailing grandmother. Alex is very committed to his corporate marketing job in San Francisco and only plans to stay in Fairhaven temporarily. He doesn’t seem to realize how much he needs faith, family or love. But the holiday season, his grandmothers’ matchmaking friends, and one fatherless little girl start pulling at both Annie’s and Alex’s hearts strings. Just in time to make it a very special Christmas for everyone. Sounds like a wonderful story, and I love Christmas books. Please give us the first page of the book. Annie Romano tucked the loose end of her red wool scarf into the front of her jacket and snuggled down into the soft lining. Puffing out a breath, she tried to warm her chilly face as she waited at the corner of Eleventh and Harris in the historic district of Fairhaven, Washington. A brisk early-November breeze blew up the hill, carrying the fresh, salty scent of Bellingham Bay. Clenching her hands in her pockets, she gazed across the street at Jameson’s Bakery and lifted a silent prayer. Please, God, help me find a job. Not just for my sake, but also for Emma’s. With her stomach knotting in a tight ball, she stepped off the curb and crossed the street. It wasn’t that she didn’t want to see Irene Jameson, or that she was afraid to ask her for a job. The sweet, elderly owner of Jameson’s Bakery had always treated her kindly. But seven years had passed since Annie left Fairhaven, and her life had taken some drastic turns since then. What would Irene say about Annie’s daughter, Emma? A powerful mixture of love and guilt rose and battled in her heart, but love won. She pressed the guilt deeper away to deal with another time. I also send out an email newsletter every other month with book news, reading recommendations, photos, recipes, and encouraging articles. The signup for the newsletter on the homepage of my website, or they can email me at carrie@carrieturansky.com, and I will add them to the list. Thanks so much, Lena! 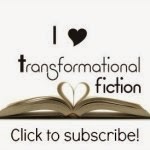 I appreciate this opportunity to connect with you and your readers! I love having you on my blog, Carrie. Julie Lessman is an award-winning author whose tagline of “Passion With a Purpose” underscores her intense passion for both God and romance. American Christian Fiction Writers 2009 Debut Author of the Year and winner of 14 RWA awards, Julie Lessman was voted #1 Romance Author of the year in Family Fiction magazine’s 2012 and 2011 Readers Choice Awards, as well as #1 Historical Fiction Author, #3 Author, #4 Novel, #3 Series, and Booklist’s 2010 Top 10 Inspirational Fiction. Julie resides in Missouri with her husband, daughter, son, daughter-in-law and granddaughter and is the author of “The Daughters of Boston” series—A Passion Most Pure, A Passion Redeemed, A Passion Denied and the “Winds of Change” series—A Hope Undaunted, A Heart Revealed, A Love Surrendered. 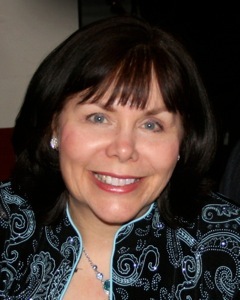 You can contact Julie through her website and read excerpts from each of her books at www.julielessman.com. How did you come up with the idea for these stories? Well, my two newest books—A Love Surrendered and my Christmas e-book entitled A Light in the Window: A Irish Christmas Love Story—are the final two novels in the O’Connor family saga, so I suppose I need to explain where I got the original idea for this family epic since each book springboards off the prior one. As most of my readers already know, I started writing the first book in this saga, A Passion Most Pure, at the age of twelve after reading Margaret Mitchell’s Gone With the Wind. I immediately knew I wanted an Irish family coping with a war (like GWTW), but didn’t have the audacity to try another Civil War epic like Margaret, so I settled on WWI instead. As the 12th child in a dysfunctional family of 13 kids, I also knew I wanted to portray a family the way God intended a family to be—flawed but steeped in faith. The result is the saga of the O’Connors, a passionate but imperfect family of six children who love God and each other in the best way they know how, all interwoven with a secondary love story between their parents. The first three books in The Daughters of Boston series highlight the love stories of each of the three oldest daughters, and the second series, Winds of Change, focuses on the youngest daughter and two sons. Oh, and the Christmas e-book? Ah … that’s the prequel I’ve been longing to write and finally did, which details the tumultuous love story of the saga’s happily married parents, Marcy and Patrick O’Connor. Ooops, sorry, Lena, I’m primarily a historical romance reader, but when I do read contemporary fiction, I can tell you right now that there would need to be ten authors at this party or none at all. My Seeker buds who write contemporary are a must—Mary Connealy, Debby Giusti, Audra Harders, Ruth Logan Herne, Myra Johnson, Glynna Kaye, Sandra LeeSmith, Tina Radcliffe, and Missy Tippens—every one a gifted author with a unique style all her own that captures me each and every time. And then, without question, my dear friend Patti Lacy as well, one of the few women’s fiction authors I simply will not miss because she is flat-out riveting. 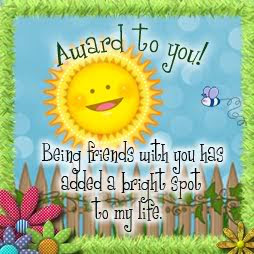 For me, parties are about good friends, so again it would have to be my Seeker buds who write historical fiction, and those are—Mary Connealy, Janet Dean, Pam Hillman and Cara Lynn James. And without question, NO party would be complete without two of my dearest author friends and prayer partners, Laura Frantz and MaryLu Tyndall—women whose hearts beat to the same rhythm as mine and whose work I absolutely love! Ha! At this time in my career?? How ‘bout ALL of my career, which has been the same age-old problem I’ve struggled with more than anything else, and that is the annoying focus on sales, contest wins, good reviews and contracts. BUT … the good news is that after almost five years of being published, I have finally turned a corner on that nasty problem, thank God, through a combination of prayer, fasting and a pretty amazing book entitled The Well by Mark Hall, pastor and lead singer for Casting Crowns. You see, my church has been urging each of its 6,000 members to read this book, and once you do, it’s pretty obvious why. Like Jesus told the Samaritan woman at the well, He is the only source of “living water,” and to try and draw our confidence, peace, hope and joy from stagnant holes such as success, people’s approval or talent will never truly satisfy and will only make us sick. For me, getting published was like hopping aboard the scariest roller-coaster on the planet, and let me tell you, as much as I LOVE angst, drama and thrills in my books, I have a fear of heights and HATE roller-coasters! Everything happens so fast—you go flying to great heights with contest wins, wonderful reviews that bring tears to your eyes, and connections with reader friends that deepen and enrich your life. And then in the next pulse-freezing second, you go crashing back down to earth with 1-star reviews that cut your heart out and a truly awful obsession with Amazon rankings and book sales. The good news is that God has used this crazy lifestyle to ground and level me in HIM despite the endless ups and downs, for which I am eternally grateful. Tell us about the featured books. Orphaned in Iowa, Annie Kennedy moves to Boston to stay with her spinster aunt, longing for romance to fill the void of her parent’s death. But when she falls hard for Steven O’Connor, the man who broke an engagement to her sister, Annie is worried. Will he break her heart, too, when he discovers who she really is? They both sound wonderful. Please give us the first page of each book. So help me, if I get caught tonight, Peggy Pankow’s name is “Mud.” Susannah Grace Kennedy braced herself against the cool of the salty sea air—and her guilt—and hurried down the dark street toward Revere Beach, almost regretting she’d let her new friend talk her into sneaking out of the house. A crescent moon rose while the waning light of dusk cast purple shadows on the boardwalk where streetlamps were just beginning to glow. People milled on the seashore, mere silhouettes backdropped by a fuscia sky glinting across restless waters. The sound of music drifted in the air along with the scent of the sea, and suddenly a tingle of excitement trumped any worry she had. Danger, yes. Marcy swallowed hard. Heights and Sam O’Rourke—two things that made her dizzy. She heard the thump-thump of hurried footsteps on the other side of the door and nervously smoothed her hair. Carefully puffed and pulled back on the sides in the new Gibson Girl style with a tortoise-shell comb, the rest of her long blond curls trailed the back of her powder-blue shirtwaist. Adjusting her wide black belt, she slid a damp palm down her cream gabardine skirt that loosely hugged her hips before it spilled into a bell shape at her ankles. Children’s laughter floated on the summer breeze while a pink sky reflected in shiny parlour windows, casting a rosy glow on a white wicker swing. Marcy breathed in the fragrance of the scarlet pillar roses that coiled and tangled on a trellis at the end of the porch, their scent recalling summers playing jacks with Julie or discussing favorite book heroes while lazing in the swing. It had been five years since she’d seen her best friend, five long years since Papa had whisked them away to New York for his new job as a vice president for Reading Railroad. But he hadn’t counted on an agricultural crisis that would result in a worldwide economic depression in 1893, costing him and thousands of others their jobs. Some of Marcy’s excitement over returning to Boston ebbed as her thoughts strayed to the financial crisis in which a quarter of the nation’s railroads—including the company Papa worked for—went bankrupt. In New York alone, unemployment among industrial workers exceeded twenty percent, which meant Papa had been forced to return to Boston to look for work. Squaring her shoulders, Marcy shook off the malaise that always settled when she thought of Papa out of a job, but she had no doubt that her faith—and that of her parents—would see them through. Even so, tonight she was back home with her best friend, and she refused to let anything dampen her excitement of seeing Julie again. Especially Julie’s brother. Of course, I LOVE to hear from reader friends, so they can feel free to contact me through my website at http://www.julielessman.com, either by sending an e-mail via my site or by signing up for my newsletter at http://www.julielessman.com/sign-up-for-newsletter/. My newsletter is chock-full of fun info on my books and there’s always a contest featuring signed book giveaways including one right now to have a character named after you or a loved one in my next book. Also, I have a cool blog feature on my website called “Journal Jots” at http://www.julielessman.com/journal-jots1/, which is a very laid-back, Friday journal to my reader friends that would give your readers an idea as to my relaxed style of writing. Or they check out my favorite romantic and spiritual scenes from each of my books on the “Excerpts” tab of my website at http://www.julielessman.com/excerpts/. Finally, I can be found daily at The Seekers blog at http://seekerville.blogspot.com/, a group blog devoted to encouraging and helping aspiring writers on the road to publication. 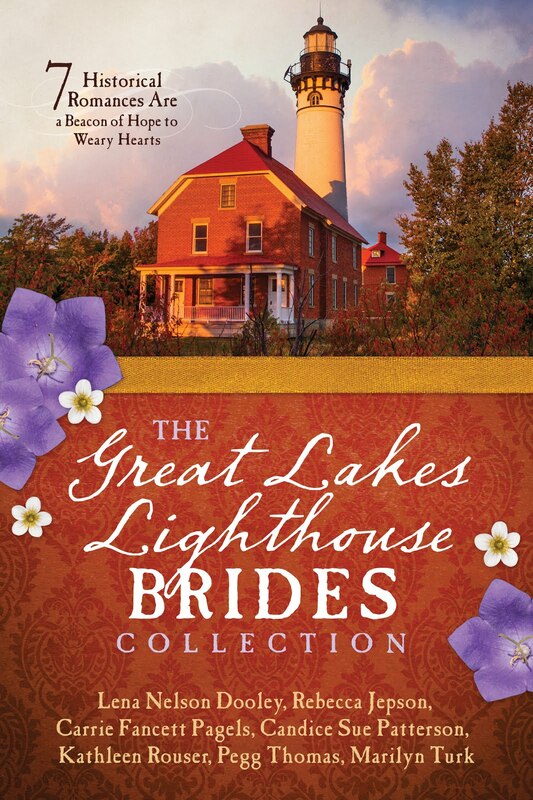 Thanks, Lena, for allowing me to connect with your readers, and I’m looking forward to giving the winning commenter a signed copy of any of my books, including A Love Surrendered or an e-book of A Light in the Window: An Irish Christmas Love Story, so GOOD LUCK!! Thank you, Julie, for sharing both of these books with us. It's always such a pleasure to have you here. You need to contact me to book your next book. Welcome back to my blog, Therese. How wonderful that you're giving away three copies of this ebook here at Christmas. What are some of the spiritual themes you like to write about? I like to write about the spiritual journey I’m on now, so it comes across “fresh” and not as if I’m trying to preach a lesson. I would like to spend an evening with Beth Moore. She writes amazing bible studies and walks with the Lord so closely I’m jealous. James and I were in the studio audience when Beth and her husband were interviewed by James Robison. We really enjoyed it. What historical person would you like to meet (besides Jesus) and why? I would love to meet Corrie Ten Boom. When I was 12, I saw the movie about her life, The Hiding Place—set in WWII about how her family hid Jews in their home in Amsterdam, and read the book by the same name about 12 times. That story of selflessness gave me such a heart for the Lord. Try e-publishing. If your work is good, you will do very well. If your book doesn’t sell, you’ll know that you don’t have the craft of writing down well enough, and then you’ll know it wasn’t just the editors. In a world where position and rank are everything, can two souls stand firm in their desires and their faith? In the courts of King Louis XVIth and Marie Antoinette, a storm is brewing that will overthrow a monarchy. Caught up in the maelstrom is a young peasant girl, who becomes a pawn in a hopeless attempt to quell the peasant rebellion. But the cost to her is greater than she could ever imagine. Aimee Fremont is forced to leave her family to live as a Princess Claire, the adopted daughter of France to appease the growing unrest among the peasants. Unfortunately pretending to be raised as a royal requires that she accept a betrothal to an English duke. Now living in the Queen’s House (Buckingham Palace) and dreading the day of her marriage, she clashes with the duke’s secretary, the one man who could reveal her true identity. But when his life is at stake, can she learn to wait the Lord to give her the desires of her heart. Aimee Fremont scurried into place, wishing a pox on her unforgiving corset. Two footmen opened the high double doors, leading into King Louis and Queen Marie’s Grand Appartement du Roi at the palace of Versailles. She ceased tugging on the flounce at her waist, attempted to take in a breath, and hiccupped. Not now. Pressing her lips together, she willed them to absorb the sound. She braced herself for another performance as Princess Claire, the adopted daughter of France, as she had come to be known. She moved into the gilded chamber, the courtiers whispers echoing around her. Their attentions bore down on her like the light from the corpulent chandeliers adorning the painted ceiling. She swallowed back another hiccup with a small jolt to her shoulders. Richly colored Persian carpets gave way to hand-polished wood floors as she stepped past window-sized portraits of frightful-looking deceased members of the French royal family. With each movement she took, her silk dress, the color of a fading sun, rustled and the heavy jewels clutching her neck bobbed. Not paste this time, but real gems. Her pin-pricked fingers hidden beneath silky white gloves itched to secure the diamond and jade tiara that gripped her elaborate coiffure. This was by far the grandest she’d ever been displayed. It did not bode well. A hiccup burst from her lips. Despite the burning of her cheeks, she kept her gaze fixed straight ahead, as her shoes tapped on the parquet floor. A dozen or so courtiers receded in her procession. Typically, the sovereigns only called for her when they needed their former peasant girl, dressed up like a stuffed pig, albeit minus the apple, to appease the masses, thus showing their subjects evidence of their great benevolence. But this regal gathering was considered a private audience, which could only mean she’d done something wrong. But why had her guardians commanded that she be out-fitted in such a grand fashion to be chastised? She forced another hiccup to die in her throat. No matter the reason, these royal summons never failed to bring a plunging wave of dread. Her neck aching, she tugged on the rope of jade balls that hung like heavy fetters, and suddenly with a snap, the string broke. With a gasp, Aimee watched as the asparagus-colored balls fell to the floor and scattered in all directions, resembling frightened mice. A few attendants tittered behind their hands. Aimee snuck a glance at Queen Marie. Even a fair distance away, the queen’s lips looked thin and white. I can do this… Aimee gulped in air, forcing her terrified thoughts to slow down. At least the hiccups had stopped. She had to act as a princess. I can hardly wait to read this one. How can readers find you on the Internet? Thank you, Therese, for sharing this ebook with us. I know how much research you do to make your stories authentic. Welcome back, Olivia. Why do you write the kind of books you do? I use the phrase “twisting through time, chasing the joy” to describe my books. More and more, I am drawn to the historical “understory” of any event or character’s story. In some way or another, the past has brought us all to the point where we are now, and it intrigues me to unpack that theme. I remember when my son was just a few days old and I was with my mom, who had seven children, and we marveled over him together. I asked, “Does it feel like this every time?” “Every single time,” she answered. To my great joy, I got to feel that twice. No matter how children come into a family, parenthood changes you. I have certainly seen what the interior of a writer’s life looks like! Rounds of editing. Being available for opportunities such as this Q&A. Building networks to help spread the word about my books—it’s still true that most people choose a book because someone they know recommended it. I find the greatest challenge is not so much about having time to do everything—and still write—but about being a good juggler. That means creating a rhythm of life that can respond to each project as needed, catching it when it comes down and infusing fresh energy for whatever is the next upward stage of its life. 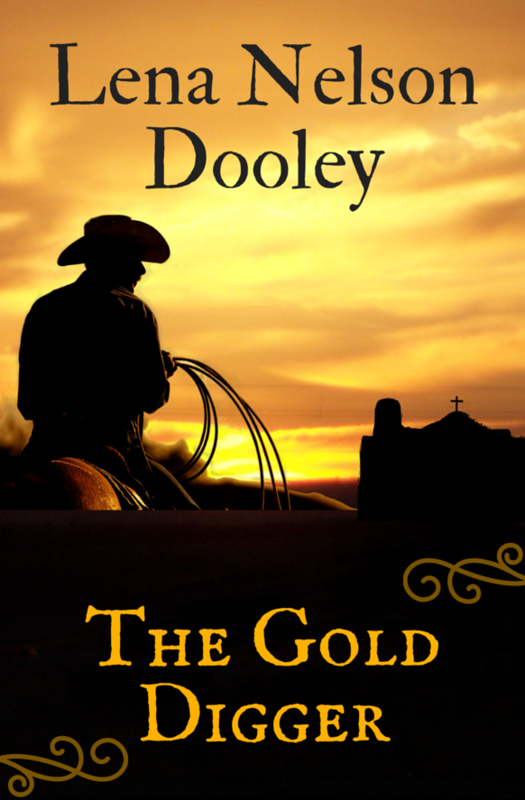 I am working on Taken for English, the third in my Valley of Choice series. These books have thematically intertwined stories from two centuries. I write the historical story first, and I’m just about finished with that. Somewhere with a beach and a hammock where I can sway with the rhythm of the ocean. And I get there in an airplane. Since I’m releasing two series, I have two basic settings right now. The Avenue of Dreams series, including The Pursuit of Lucy Banning and The Dilemma of Charlotte Farrow so far, are set in an historic neighborhood of Chicago. 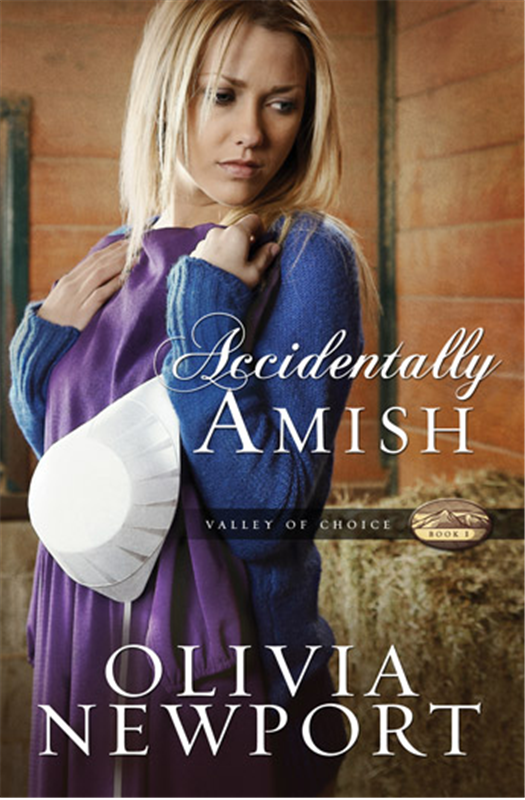 The Valley of choice series, which began with the release of Accidentally Amish, is also inspired by events that happened in a particular place. I have so many stories in my head! I read a snippet about a place that sounds interesting, or perhaps I pass through a place on a trip to somewhere else, and I begin to see the setting’s potential. I live far away from my mother, who will soon be 87, and I don’t see her too often. I would love to spend more evenings with her because I treasure her presence. To me she is a remarkable person, and I love hearing stories of when she was young. I love some of the classic sit-coms, so I enjoy kicking back with a cast of characters whose personalities and quirks have become familiar and endearing. Sometimes a dose of Rob and Laura Petrie is just what I need. And I can easily make a hobby out of meeting friends for lunch or a meal and drenching each other in laughter and encouragement. People often say, “If I had more time, I’d write a book.” And I always think to myself, “You have the same 24 hours a day that I have.” Most writers have day jobs and families and all sorts of obligations. Writing comes at a price, and it’s a difficult lesson to learn to pay it. I make intentional choices and then focus on what I’ve chosen, rather than what I am missing because of my choice. With any ambition, it’s essential to set the right kind of goal. Make sure that your goals are specific and realistic, and recognize that you will make adjustments along the way as you learn more about your interests and the publishing industry. And don’t compare your goal to someone else’s. Everybody’s life is different. A serendipitous event spurred me to pull a family genealogy book off the shelf, and I read more closely than I ever had. One of my family lines traces to Jakob Beyeler, who arrived in Philadelphia in 1737 on a ship carrying Amish families. The twist that fascinates me is that Jakob had ten children. The first five children remained Amish, while the second set were raised as part of the general culture. What choices must Jakob have made? What sacrifices? From there I went into the contemporary setting and came at the same theme from a different angle. What values drive the choices we make, and what happens when cultures clash? His kiss was firm and lingering as he cradled her head in one broad palm. “Annie,” he murmured as he took in a breath. His hand moved to brush her cheek. He kissed her again. Annie’s stomach churned while her lips went on automatic pilot. Kissing Rick Stebbins was nothing new and, frankly, less exciting every time. But in the moment, it seemed the safest choice among miserable alternatives. She pictured where her blue Prius was stashed in the parking lot behind the modest glazed-brick office building. A small red duffel lay on the passenger seat and a compact suitcase on the floor. The denim bag she had carried since high school, on the desk she was leaning against, held her laptop in its padded case. Car keys hung from a belt loop on her jeans. Her cell phone was in a back pocket. Rick would never admit to what she suspected. More than suspected. She was no lawyer, but she knew it would take more evidence to make an accusation stick. And Rick was a lawyer. Her lawyer. Her intellectual property lawyer. If only he had not slipped that extraneous document between the pages of the last contract awaiting her signature in triplicate. Whatever she thought she felt for him dissolved with that test of her attention to detail. He was the one who failed. She would sign nothing more from Rick Stebbins. This sounds like an interesting premise. I can't wait until my copy arrives. How can readers find you on the Internet? Thank you, Olivia. for sharing this book and peek into your life. Pol (GA) is the winner of Betrayal by Robin Lee Hatcher. Veronica (NM) is the winner of Dark Alleys by Lillian Duncan. Doris Smith (IN) is the winner of Her Holiday Fireman by Kathleen Y'Barbo. Lourdes (NY) is the winner of Hummingbird by David Stearman. 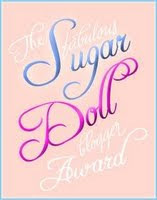 Joye (AZ) is the winner of Shadowed Dreams by Tina Pinson. Amada (NM) is the winner of Camellia by Diane T Ashley and Aaron McCarver. We become the people we are by the experiences we have and the people we meet, and I freely allow those things to show up in my writing. I can’t imagine not doing so. Of course those bits of myself are rearranged and intermixed with the various characters in new ways. I am an ordinary sort of person, not given to quirkiness. Oh, wait there was that time I… Oops! I can’t tell you about that. I remember being very frustrated as a four-year-old that I couldn’t make my scribbling become words no matter how hard I tried. I first discovered I had a knack for writing stories in 8th grade. I wrote a scary story about being unjustly confined to a mental hospital. My teacher’s encouraging words on the top of my story sparked my dream to become an author. In elementary school I became A Voracious Reader, beginning with Nancy Drew mysteries and then moving on to those by Agatha Christie and Victoria Holt. I did eventually branch out. I love everything from classics like The Odyssey and Dicken’s Great Expectations to modern popular fiction by Dean Koontz, whose writing I admire for his great characterization. I used to be a Wonder Woman, able to multi-task and leap tall buildings. But I couldn’t sustain that. I’ve simplified my life, learning to say no to many of the demands I and others have put on me. I pray. I take walks. I breathe deeply. And I read a good book. Of course. Sometimes a name will just pop into my head during the early writing stages and feel just right. In Unclaimed Legacy I gave the bad guy the name of an awful person who once hurt me. I have to admit it was quite satisfying. For other names I thumb through my book of baby names or my local telephone directory. I find great satisfaction in becoming an author after so many years of waiting to get a book contract. I never gave up on my dream (completely) although I have to admit that my confidence took a beating. I wrote Time and Again in 1994 and it was finally published in January of this year! I would be a chocolate lab. They’re beautiful, friendly, trainable, trustworthy, and calm. Everyone loves them. They’re the most popular dog in the U.S.
Chocolate, but that’s so obvious, so I’m going to say pecan pie. I don’t know why we have to wait for Thanksgiving to have it. I wrote Time and Again while under the influence. Fortunately, I got sober before beginning Unclaimed Legacy. Just kidding. What I mean is that having just graduated from college where I studied literature, I tried to emulate the spare style of literary greats like Hemingway and Camus. But then I realized I didn’t even like that style, no matter how revered it is in some circles, so I stopped trying to write LITERATURE (pronounced with a snooty accent). I found it a lot more enjoyable to allow my characters to show their thoughts and feelings. Unclaimed Legacy is the second book in my young adult trilogy. (Each may be read alone, but you may wish to read Time and Again first.) 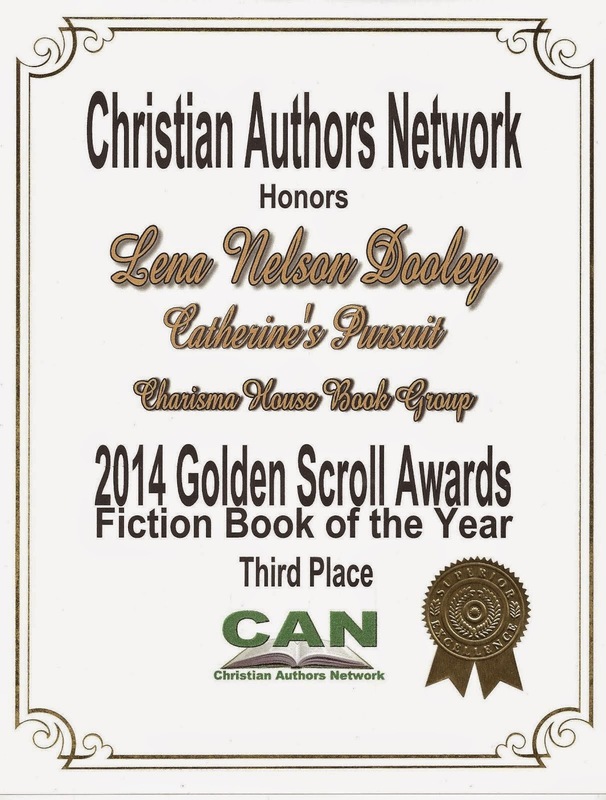 I plan to have the third one ready for publication by spring. “Whatever you call it,” John said, “that was crazy—what we just did. Abby’s weird computer program is working again. And it comes in handy when they agree to help the Old Dears next door with their family tree. Except Abby and John learn more about one of the ladies’ ancestors than they ever wanted to know. Convicted in 1871 of murder and arson, Reuben Buchanan is a blight on the family’s reputation. But was he really guilty? Abby and John must get inside the mind of a murderer to find out. 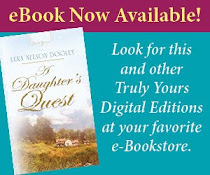 But while they’re rummaging around in the Old Dears’ family history, they discover the truth of God’s promise to bless a thousand generations … and a legacy waiting to be reclaimed. Abby managed to get her mascara on without smudging it. It was not an easy task, knowing that if she glanced at the other reflection in the mirror she’d see Merri’s sorrowful eyes staring back at her. At least she wouldn’t have to spend any time on her hair. Whatever she did, it dried in a mass of brown curls. Abby was glad Merri wanted her around. It was a big improvement from her first two weeks at the old house in Miles Station. Thankfully, the troubled girl had finally begun to accept her help and her friendship. 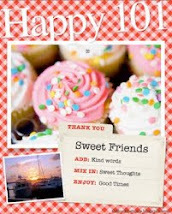 Please visit my website: www.deborahheal.com and my author page on Facebook: www.facebook.com/DeborahHeal. Thank you, Deborah, for sharing this YA book with us.